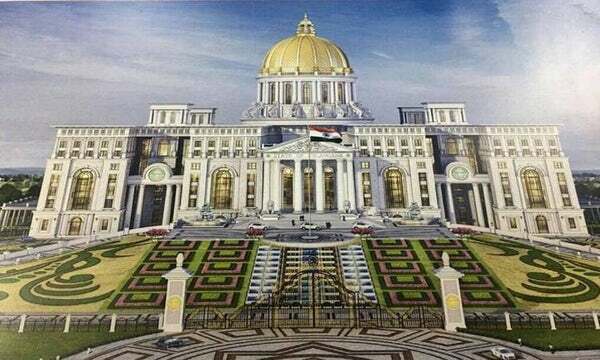 Telangana New Secretariat Blueprint: A blueprint of the new Secretariat building was released by the Telangana government on Wednesday that would come up at Bison Polo Ground in Secunderabad. According to reports, foundation stone laying ceremony is being planned during Dusshera festival and is estimated to build on Rs3,000 crore. The state government has come up with this proposal citing ‘vaastu dosha’ in the present Secretariat building. However, the move triggered the backlash from citizens and the Opposition. Telangana Congress president N. Uttam Kumar Reddy said that the move is not only a waste of money but also anti-environment. “Chief Minister K. Chandrashekar Rao (KCR) seems to hate open spaces in the twin cities of Hyderabad and Secunderabad. He came up with different proposals to turn several green lung spaces into concrete jungles,” Reddy said. “They are not more than 10 years old and are in good condition. Crores of rupees were also spent on the renovation of blocks in Secretariat allotted to both the chief ministers. Entire money spent on renovation would go waste,” he added.